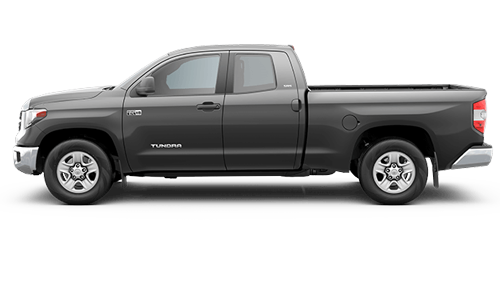 Carl Hogan Toyota would like to introduce pickup truck shoppers in the Columbus, MS area to the 2019 Toyota Tundra that is now available here at our full-service Toyota dealership. This full-size truck from Toyota boasts not only standard V8 performance but a range of configurations, thanks to its multiple cab styles, trim levels and drive types. Drivers near the Starkville and West Point, MS areas and beyond can explore the latest Toyota trucks online, here on our website, or with a trip to our dealership. Contact our friendly Toyota sales associates or see us in Columbus, MS to learn all about the latest Tundra and its stellar features! With a large selection of Toyota trucks for sale at our Columbus, MS dealership, drivers from West Point, MS can count on Carl Hogan Toyota for a powerful and versatile new pickup like the 2019 Toyota Tundra. This well-rounded truck offers many features that are not available on other full-size trucks, including its standard V8 power and driver-assistive features, courtesy of the Tundra's standard Toyota Safety Sense™ P (TSS-P) system. Drive with confidence knowing that you can not only tackle a range of hauling or towing needs with your new Tundra but that a pre-collision system and adaptive cruise control are there for you as well! Reach out to our sales specialists here at Carl Hogan Toyota in Columbus, MS to discover other features of the 2019 Toyota Tundra, including its range of available Entune™ audio systems and its standard, ToyotaCare no-cost maintenance plan. Visit us near Starkville, MS today to drive home in a Tundra today!